The Faculty of Social Science at Western University, one of Canada’s leading research-intensive universities, invites applications for a Tier 1 Canada Research Chair (CRC) in the area of Inequality and Gender Policy at the rank of tenured Associate or Full Professor with a starting date of July 1, 2019, or as negotiated. Candidates must hold a Ph.D. or equivalent in a relevant discipline. Scholars working with mixed methods are welcome to apply, with the expectation the successful candidate will be a highly accomplished quantitative social scientist. The successful candidate will be appointed to one of the Departments of Sociology (http://sociology.uwo.ca/), Economics (https://economics.uwo.ca/) or Political Science (http://politicalscience.uwo.ca/). A joint appointment may also be considered. This academic appointment is conditional upon the successful award of the Tier 1 CRC. Western University recognizes that our commitment to equity, diversity and inclusion is central to the University’s mandate as a research intensive institution of higher learning and a community leader. Western understands that our pursuit of research excellence and our commitment to equity, diversity and inclusion are mutually supporting. As such, Western is committed to achieving and maintaining an equitable representation amongst our Canada Research Chair holders, as well as within Western’s broader research enterprise. In accordance with the criteria set for Tier 1 Canada Research Chairs (http://www.chairs-chaires.gc.ca/), the candidate must be an outstanding and innovative researcher whose accomplishments are recognized internationally as having a major impact on their field; have a record of excellence in attracting and supervising graduate students and in teaching; a record of success in attracting external funding, and demonstrated leadership experience in the field. The candidate must also propose an original and innovative research program that will attract external funding and excellent trainees, graduate students and future researchers. The selected candidate will be nominated by Western University to apply for the Tier 1 CRC in Inequality and Gender Policy. The CRC application will demonstrate the exceptional quality of the candidate and their research program as well as the fit of the candidate with the institutional environment and the strategic research plans of the Department, Faculty and University: https://ssc.uwo.ca/about_us/officedean/annual_report.html; https://president.uwo.ca/strategic_planning/index.html. Western University recognizes the potential impact that legitimate career interruptions can have on a candidate’s record of research achievement. Potential candidates are encouraged to explain within their application the impact that career interruptions have had on their record, and to submit a full career or extended CV to a chairholder position in cases where they have had career interruptions. Situated in the Faculty of Social Science, the Departments of Sociology, Economics, and Political Science offer full programs for undergraduate, MA, and PhD students. 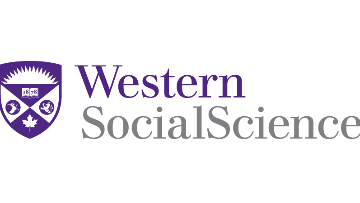 The Faculty of Social Science at Western is experiencing a period of significant faculty renewal having made over 40 hires over the last few years, with at least 10 more hires anticipated. We have also recently opened NEST, the Network for Economic and Social Trends, which houses a number of research centres in the Faculty including the Centre for Research in Social Inequality, the Centre for Human Capital and Productivity, the Centre for Urban Policy and Local Governance, the Centre for Computational and Quantitative Social Science, and the Statistics Canada Research Data Centre: http://nest.uwo.ca. Applications must include: the application for Full-Time Faculty Position form http://www.uwo.ca/facultyrelations/pdf/recruitment/full-time-application-form.pdf; a letter of interest; a detailed C.V.; a research plan for the Chair; bibliographical information on 3 refereed publications or working papers most relevant to the area of the Chair; evidence of teaching success, and the names, addresses, and email addresses for 3 referees. Review of applications will begin after May 6, 2019 and will continue until the position is filled. All PDF application materials should be emailed to the Search Committee, c/o Karen Foullong, Faculty Affairs Coordinator, Office of the Dean, Faculty of Social Science, Western University, kfoullon@uwo.ca. Western University’s Recruitment and Retention Office is available to assist in the transition of successful applicants and their families. Accommodations are available for applicants with disabilities throughout the recruitment process. If you require accommodations for interviews or other meetings, please contact Karen Foullong at 519-661-2111 ext. 84958 or kfoullon@uwo.ca.